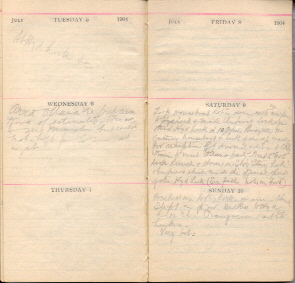 Richard Birdsall Rogers kept several diaries during his lifetime. 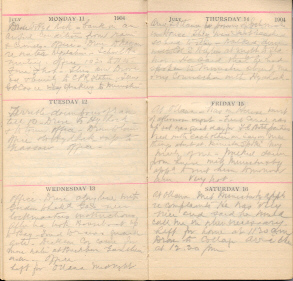 In the 1904 Diary he mentioned the approaching Peterborough Hydraulic Lift Lock opening. 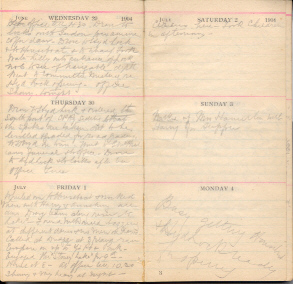 Following are images of his diary entries during the week of the Peterborough Hydraulic Lift Lock Opening on July 9th, as well as Rogers' entries during the weeks prior and following the opening.